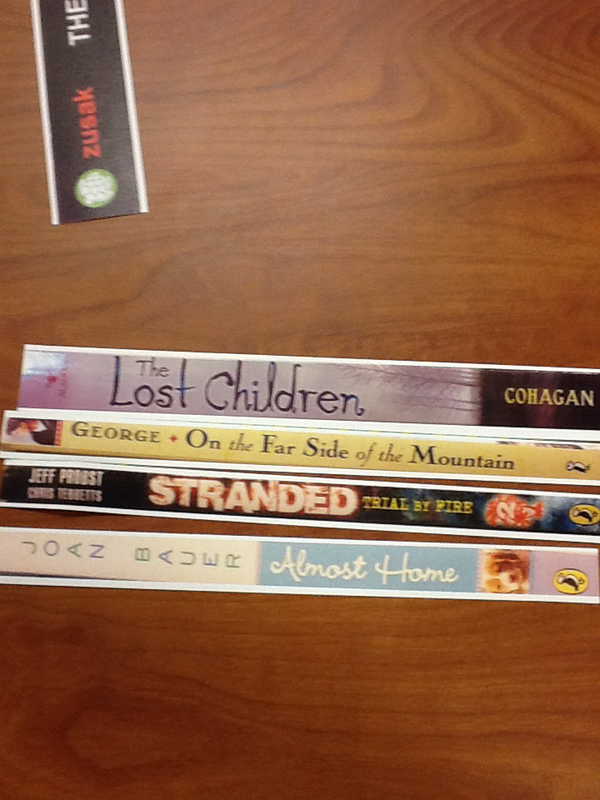 In honor of National Poetry Month, we did an activity in the library that I’ve been interested in trying for quite some time…spine poetry! They were in, so we started thinking about how to pull it together. 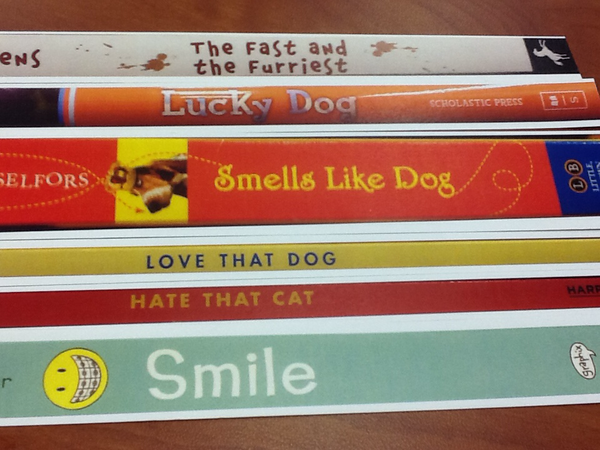 When I looked at our library books, I noticed that many of our spine labels covered parts of the book titles. This would not make for pretty poetry. 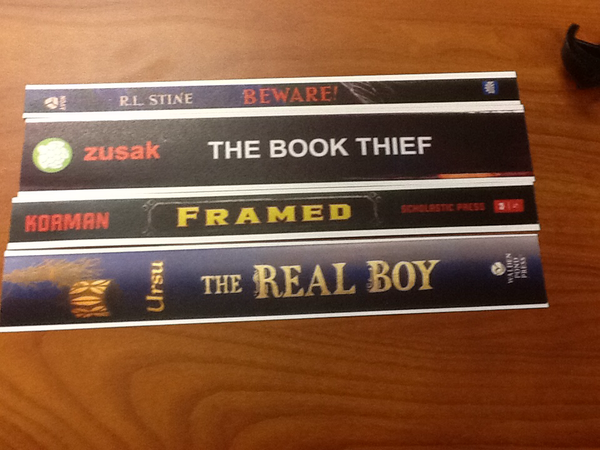 Also, Shannon mentioned that students pulling tons of books off the shelf could get to be quite a mess. So Alaina (one of the awesome sixth grade ELA teachers who happens to be my best friend) and I took a little trip to a nearby bookstore. 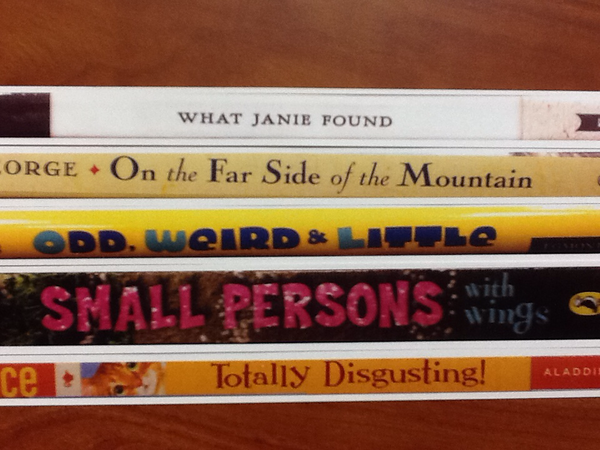 We picked books that we thought would make great lines of poetry for our students and snapped pictures. I cropped them down, cleaned them up, printed them on cardstock, and cut them out. Yes, this took a lot of time. 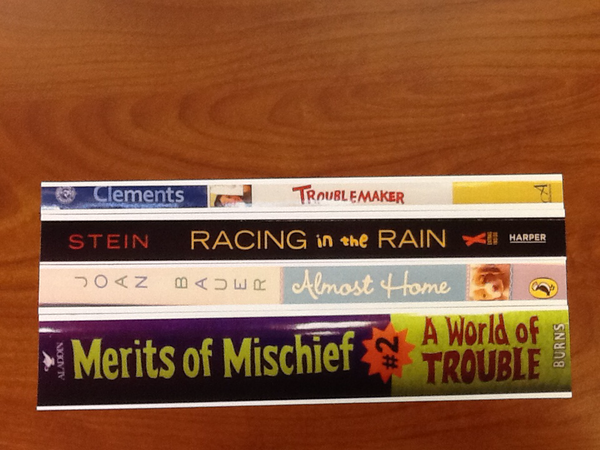 However, I now have reusable “book spines” that don’t have to be reshelved! I’m planning to continue to add to this collection as time goes on, but definitely continue to reuse what I’ve already done. I can also share my document with you to save you lots of work! We were very curious to see what poems our students would create. They absolutely had a blast! I knew I would be impressed with some of their work, and they didn’t disappoint. 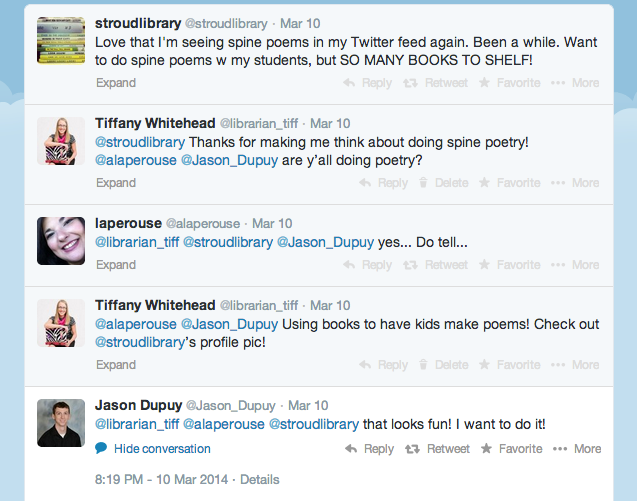 What are some fun things that you’ve done to promote National Poetry Month in your school and library? 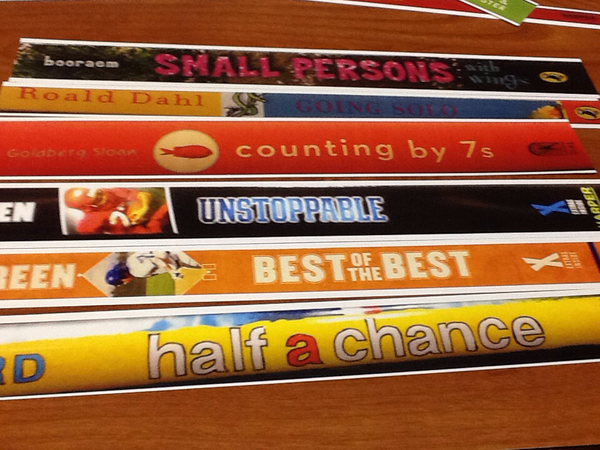 Thank you so much for sharing this idea and the document with the book spines in it. We have been doing this at my middle school, and the students love it! Thank you so much for sharing your document. What a huge help. I’m doing this with several grade levels. I was overwhelmed with the thought of all of the shelving. This is an awesome idea. I’m thinking about doing this, but adding magnets to the back so they can play with them on a whiteboard as a display. Thanks for sharing this!